Gale Force Nine will add to its licensed line of quick reference decks for Dungeons & Dragons Monster Cards with Volo�s Guide to Monster Cards and Mordenkainen�s Tome of Foes in Q3. 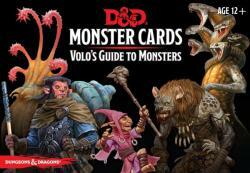 Volo�s Guide to Monster Cards includes 81 cards from entries in Volo�s Guide to Monsters, featuring creatures with a Challenge Rating 1 � 16. The deck includes 44 regular and 50 double-sized cards. 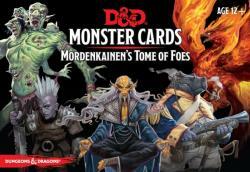 Mordenkainen�s Tome of Foes Cards includes 109 enemies from the book, including all creatures with a Challenge Rating 1 � 16. There are 38 regular and 71 double-sized cards included.